Nothing says glam like gold glitter nail art. Call now to book an appointment 01737 242663. 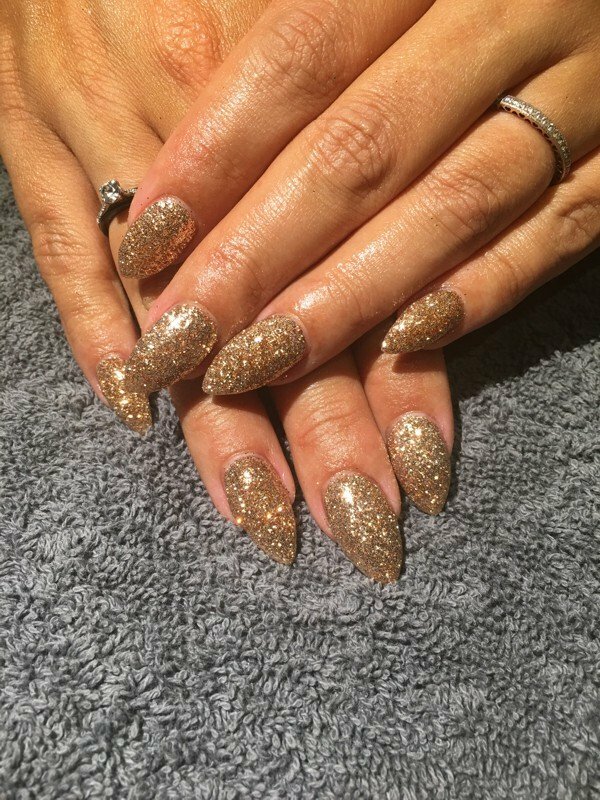 One not try one of other award winning nail treatments…..